In winter 2012, Malka Spigel played a series of concerts in France and Israel, with a full band, to promote her third solo album, Every Day Is Like the First Day. The performances drew not only on her latest record but also on several of her earlier releases, with older tracks (in completely rearranged formats) becoming highlights of the live set and, in turn, laying the foundations for Gliding. Immediately following the 2012 dates, Spigel embarked on a studio project with the band. The objective was to revisit those live highlights as a springboard for recordings that would capture the power and dexterity of the musiciansʼ live performances and at the same time channel their creative synergy into new sonic territory. (It Hugs Back/Wire; guitar) and Julie Campbell (Lonelady; guitar). Gliding is a transitional record, or perhaps a prologue, for Spigel: this is very much the work of an artist on the threshold of a new creative cycle, reimagining existing material in intriguing, forward-looking ways, brimming with fresh ideas and pointing ahead in myriad directions. 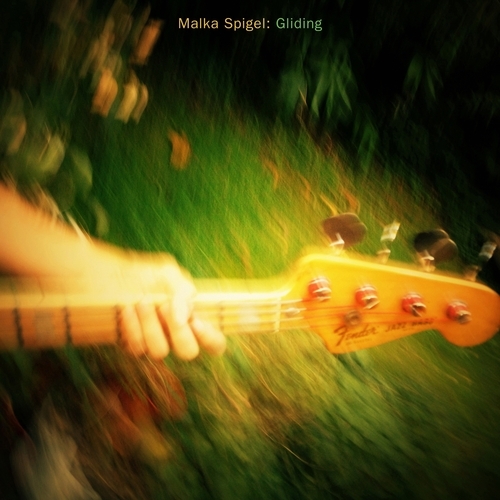 Unfortunately at this time we can't offer all the Malka Spigel - Gliding tracks as individual flacs, as some of these tracks exceed the shops maximum (9mins) download length.